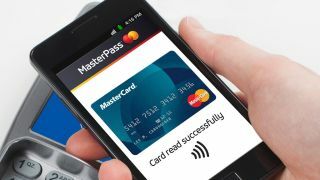 MasterCard has announced an overhaul of its Masterpass digital wallet, which adds in-store contactless payments to its range of features. Masterpass's unique angle is that it bundles many forms of payments into one, and with the new update it now boasts that its service is the only one out there that works online, in-store and in-app. MasterCard wants to be a one-stop shop for payments on your phone, whether it's tapping into the tube, ordering groceries or splitting a bill with friends. Banks will be able to implement the new service in their apps, but it's only rolling out in the US today - the UK will have to wait until next year. While MasterCard's proposition is appealing, it's up against some heavy competition. Apple Pay, Cupertino's existing contactless mobile payment system, has gained huge popularity while the recent introduction of Android Pay and Samsung Pay mean mobile payments are set to keep growing and doing more over the coming months. Finally, Apple Pay will be coming to the web later this year as part of macOS Sierra and iOS10, meaning Masterpass won't be quite so impressive in the UK when it launches in 2017.